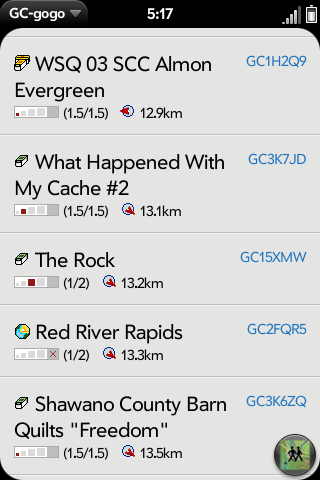 GC-gogo is a geocaching tool for webOS. 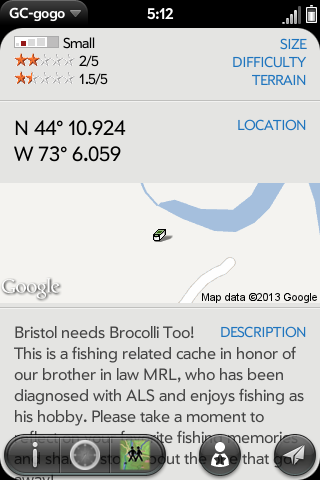 You can search for caches near you, view cache description, logs, maps and pictures. Requires a free geocaching.com account. This BETA version is available for testing purposes only, it might be unstable. Please install the latest stable from App Catalog, if you go out for caching.